Published 2017 (HB) / 2018 (PB) with Bloomsbury Publishing. Available at Bloomsbury and Amazon. "Mars is ingrained in our culture, from David Bowie’s extra-terrestrial spiders to H. G. Wells’s The War of the Worlds. The Red Planet has inspired hundreds of scientists, authors and filmmakers – but why? What is it about this particular planet that makes it so intriguing? Ancient mythologies characterised Mars as a violent harbinger of war, and astrologers found meaning in the planet’s dance through the sky. Stargazers puzzled over Mars’s unfamiliar properties; some claimed to see canals criss-crossing its surface, while images from early spacecraft showed startling faces and pyramids carved out of rusty rock. Did Martians exist? If so, were they intelligent, civilised beings? We now have a better understanding of Mars: its red hue, small moons, atmosphere (or lack of it), and mysterious past. While little green Martians are now firmly the preserve of literature, evidence is growing that the now arid, frozen planet was once warmer, wetter, and possibly thronging with microbial life. Soon, we may set foot on the planet. What challenges are involved, and how are we preparing for them? Is there a future for humanity on Mars? 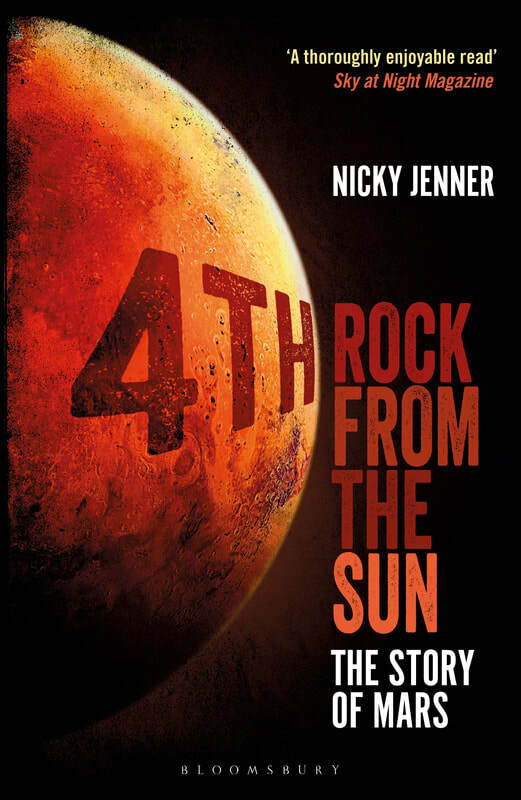 In 4th Rock from the Sun, Nicky Jenner reviews Mars in its entirety, exploring its nature, attributes, potential as a human colony and impact on 3rd-Rock culture – everything you need to know about the Red Planet." “I thought I knew everything there was to know about the Red Planet – I was wrong. A cleverly written and thoroughly interesting tour of all things martian.” – Louisa Preston, UK Space Agency Aurora Research Fellow, and author of Goldilocks and the Water Bears.